Guelph, Ont., Canada, Dec. 20, 2018 — AntoXa Corporation announced today that Ms. Ashley J. Meyers has been appointed President and Chief Operating Officer (COO). 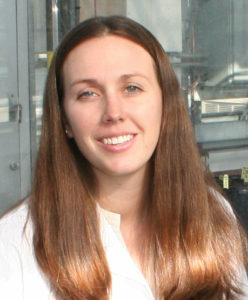 Ashley J. Meyers, President and COO of AntoXa Corporation. Ms. Meyers has been a member of the Canadian biopharmaceutical company’s leadership team since the company’s inception. She brings more than 10 years of experience in drug research and development with a focus on recombinant proteins and production of these products for pre-clinical trials. In April, AntoXa was granted a license from Defence Research & Development Canada (DRDC), an agency of the Canadian Department of National Defence, to develop and produce an anti-ricin monoclonal antibody for sale in markets worldwide. “Ashley’s leadership and expertise will be an important asset as AntoXa continues to build partnerships with investors and government agencies to bring these important drugs to market,” Stewart said. Ms. Meyers completed a M.Sc. degree in protein engineering in plants from the University of Guelph under the supervision of Dr. J.Christopher Hall, PlantForm’s co-founder and Chief Scientific Officer and a member of the AntoXa Board of Directors. In addition to her work with AntoXa, she has over five years of experience as a project manager for government-funded contracts for PlantForm Corporation and is a certified Project Management Professional (PMP). AntoXa Corporation is a Canadian biopharmaceutical company developing medical countermeasures to protect military and civilian personnel from biological and chemical agents, as well as outbreaks of naturally occurring infectious diseases. A wholly-owned subsidiary of PlantForm Corporation, AntoXa holds an exclusive licence to the vivoXPRESS® biopharmaceutical manufacturing platform to produce countermeasures for ricin, sarin, soman and Ebola Sudan, as well as other defence-related therapeutics. vivoXPRESS® technology uses genetically engineered tobacco plants to produce biopharmaceuticals in less than six weeks at a significantly lower cost of goods compared to industry standard fermentation systems. President and COO, AntoXa Corp.
Director of Communications, AntoXa Corp.
Mr. Ron Hosking, CPA, CA, is a chartered accountant with three decades of experience as a financial manager in the biotechnology and pharmaceutical industries. He is Chief Financial Officer and a founder of PlantForm Corporation. From 1997 to 2008, Mr. Hosking was Vice-President Finance & Chief Financial Officer for PreMD Inc., a developer of point-of-care medical devices. He guided the company through seven public financings and onto the TSX (2000) and AMEX (2002) stock exchanges. He also helped negotiate out-licensing partnerships with McNeil Consumer Healthcare and AstraZeneca. Mr. Hosking has also served as Vice-President Finance & CFO, LifeTECH Corporation; General Manager & CFO, Biomira Diagnostics Inc.; and Director of Marketing & Finance, Ortho Diagnostic Systems Inc. (Johnson & Johnson). He is a member of Life Sciences Ontario and the Ontario Biosciences Innovation Organization. Guelph, Ont., Canada, Nov. 28, 2018 — Ron Hosking, CPA, CA, has been appointed to the AntoXa Corporation Board of Directors, effective immediately. Mr. Hosking is a chartered accountant with three decades of experience as a financial manager in the biotechnology and pharmaceutical industries. He is also Chief Financial Officer and a founder of PlantForm Corporation. The appointment follows the death of James M. Rae in early November 2018. 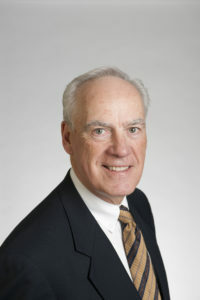 Mr. Rae served on the AntoXa Board of Directors since the company’s inception as a subsidiary of PlantForm Corporation. He also served for several years on PlantForm’s Board of Directors. Jim Rae has more than 30 years of experience in the manufacturing, marketing, financial, human resource and R & D operations of pharmaceutical and biotechnology firms. He is experienced in raising funds and financing from public, private and government sectors. Mr. Rae is President and founder of Remedis, a consultancy specializing in the restructuring and financing of health care businesses. Career highlights also include: Chairman of the Board of Directors of Bioniche Life Sciences Inc., President and CEO of Viron Therapeutics Inc., and President and CEO of Cangene; Chairman and CEO of Vaxis Therapeutics Inc.; Chairman and CEO of Resolution Pharmaceuticals; and CEO of Cytochroma Inc.
Mr. Rae is the Chairman of Queen’s Scientific Breakthrough Fund and holds directorships in a number of Canadian biotech companies. Don Stewart is an entrepreneur and scientist with more than 20 years of management experience in the biotechnology industry. He is also the founder and President of Alba Biologics Group. 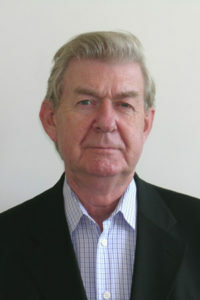 Dr. Stewart served as Director Research of Cangene Corporation from 1997 to 2007. At Cangene, he led programs to develop monoclonal antibodies and recombinant protein drugs; supervised animal efficacy and toxicology studies as well as clinical trial programs; and obtained more than $15 million in external grant and contract funding over a five-year period. Dr. Stewart has a PhD in biochemistry from the University of London in the U.K. He has given numerous lectures at international symposia on research management, manufacturing strategies and biosimilar pharmaceuticals.